Kerbside drop-off at JFK Terminal 1 for Turkish Airways was full so there was a short wait before we alighted from our Uber at night. 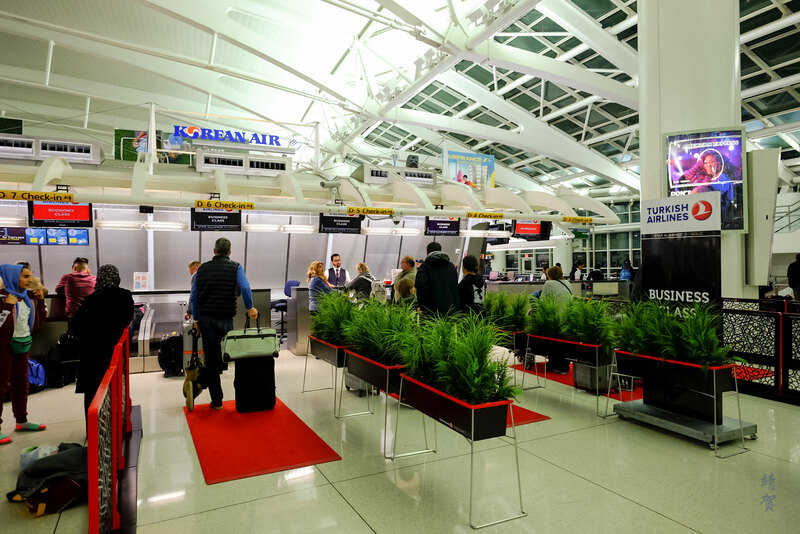 Plenty of people were checking in for the flights tonight and all 3 counters for Business Class was busy. We had, however, arrived early for our flight and had plenty of time to spare. Security was not too bad and it took about 15 minutes for us to clear security into the small departure concourse. Lounge accessible to us was the Lufthansa Business Lounge as the Senator lounge was closed at this time and that meant there was no showers since they were located in the upper level where the Senator lounge was located at. 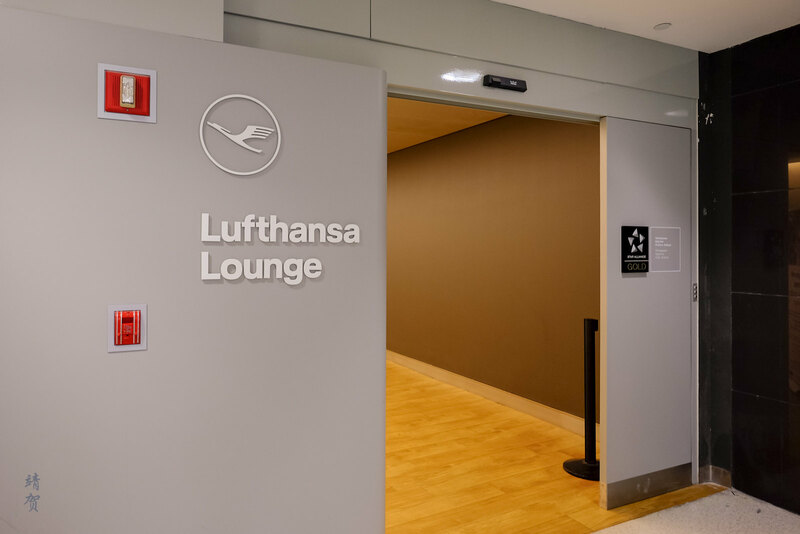 The entrance of this lounge was easy to locate since it was visible immediately on the right as we left the security screening area. 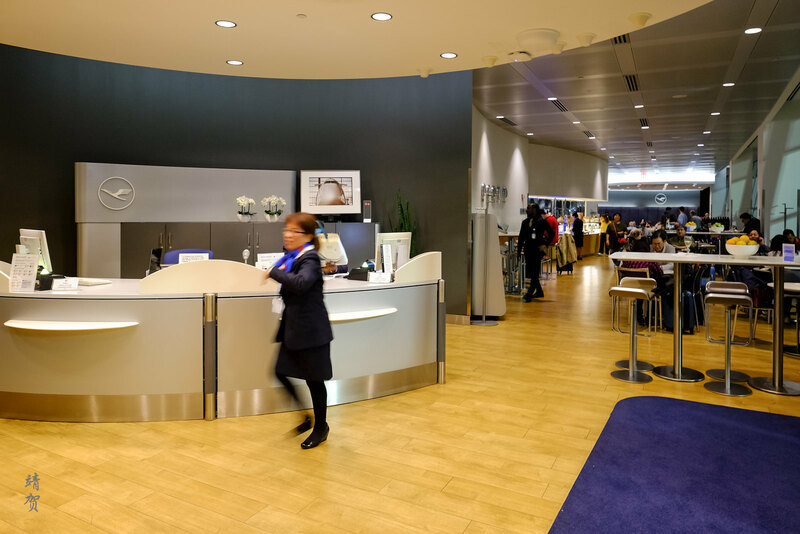 This lounge is also accessible for Star Alliance Gold members. A reception staff checked our boarding pass and ushered us into the lounge which had a bar table with stools by the entrance. 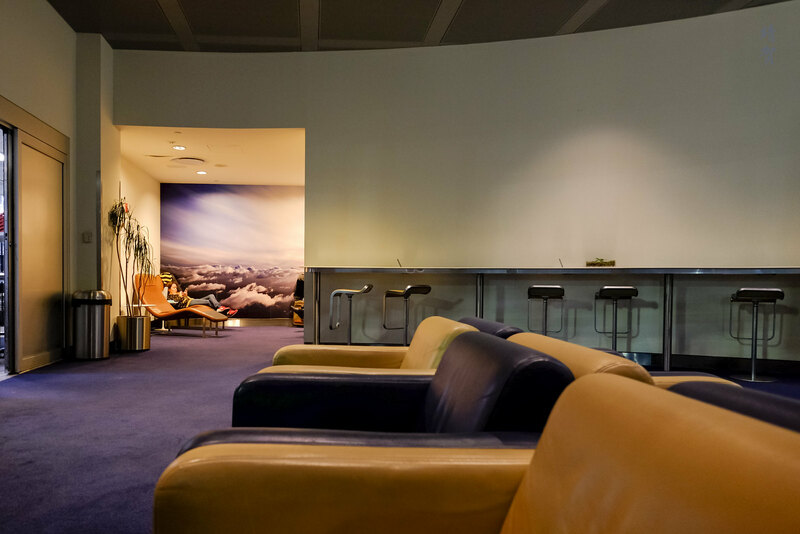 Right behind the reception desk, enclosed in its own space was a large TV lounge with plenty of individual armchairs facing the large flatscreen TV. This section is for guests who just wants to sit down in peace since there will be less foot traffic and noise here. 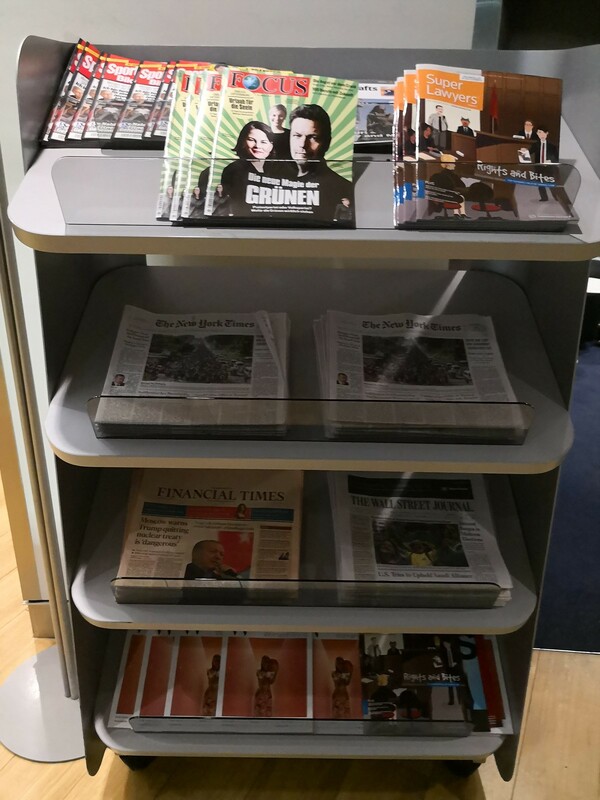 Outside the TV lounge, there is a shelf filled with magazines and newspapers. Aside from The New York Times, there was Financial Times and Wall Street Journal. However the magazines are mainly in German. 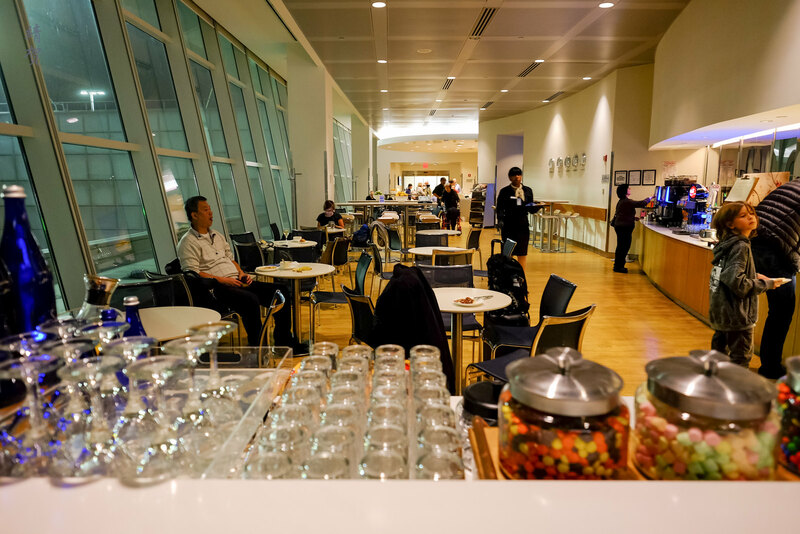 The dining area of the lounge occupies the next section with bar tables by the walls below the various world time zones. There are cafeteria style seating as well for groups of 3 or 4. 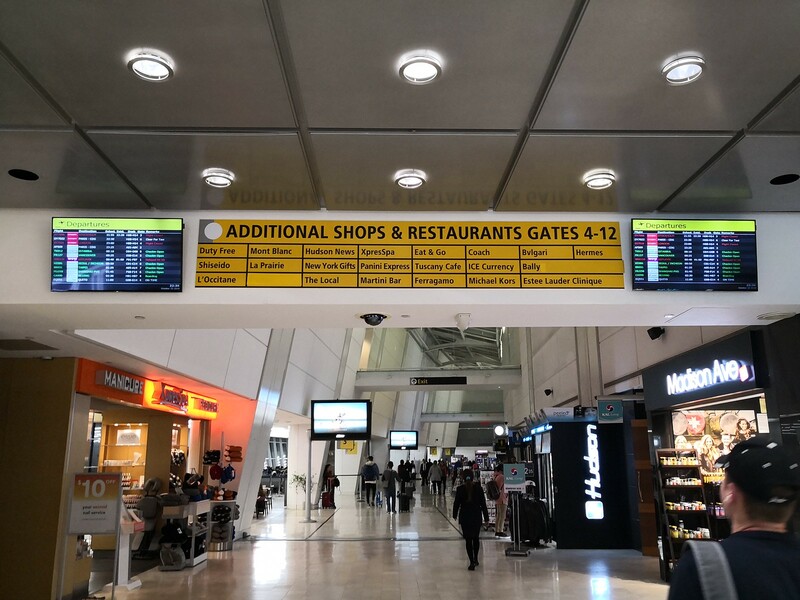 The buffet console lines one side of the dining area and starts with the touch screen WMF espresso machine found commonly in Lufthansa lounges. 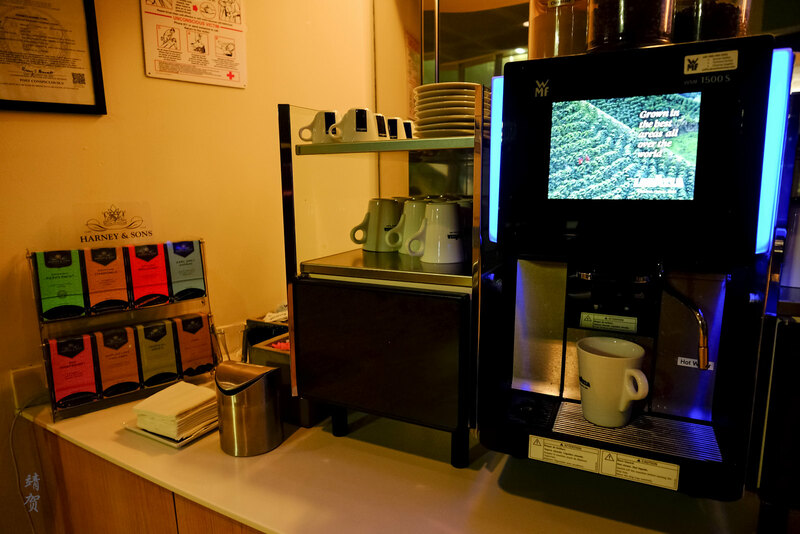 A corner with assorted tea bags is placed beside the espresso machine. 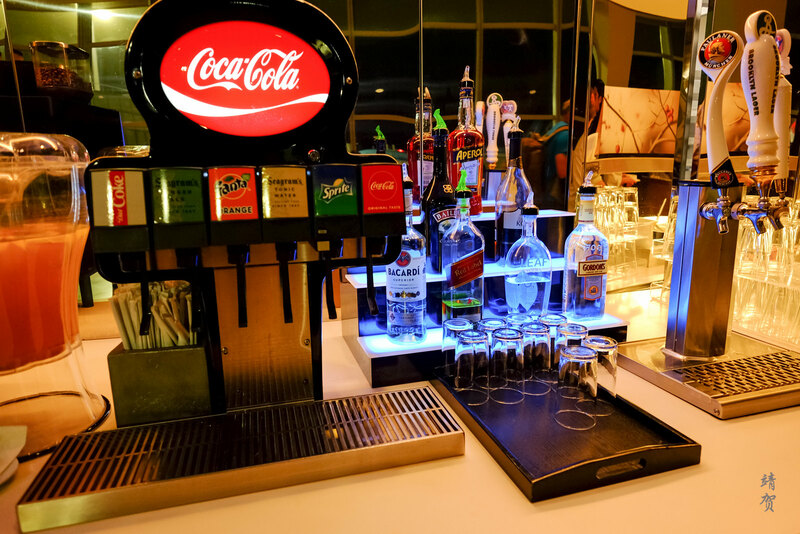 Next to the coffee and tea was a fountain drinks serving the usual Coca-Cola and a tap serving Paulaner beer. There was a variety of liquors available for self-service. 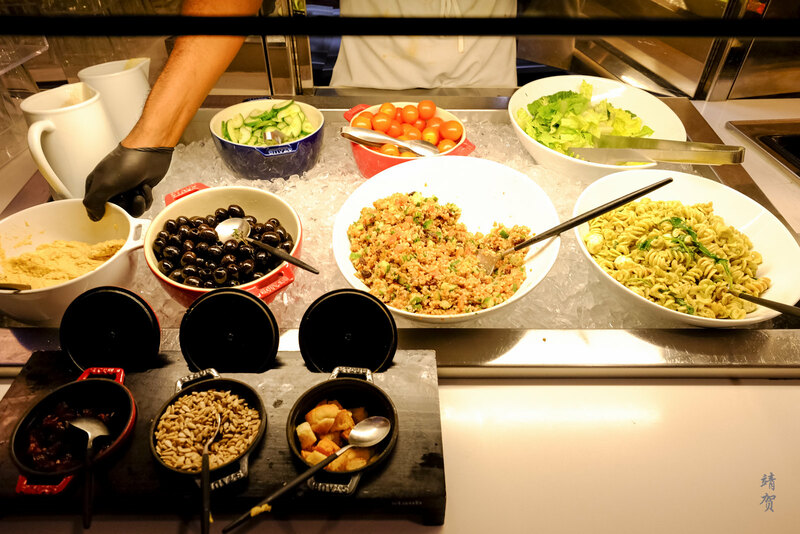 Then comes the cold buffet section which consists of a mixed greens salad, a bulgur salad with parsley and raisins, a pasta salad, olives marinated with lemon and herbs, cucumbers and tomatoes. There was creamy hummus, balsamic vinegar and caesar dressing on the side along with flaxseed, dried cranberries and croutons. Alongside the salads, there was a spinach wrap with smoked turkey, turmeric coleslaw and romaine lettuce. There was a cheese plate and 3 different types of cheesecake (New York, chocolate or raspberry) on the cold buffet as well. 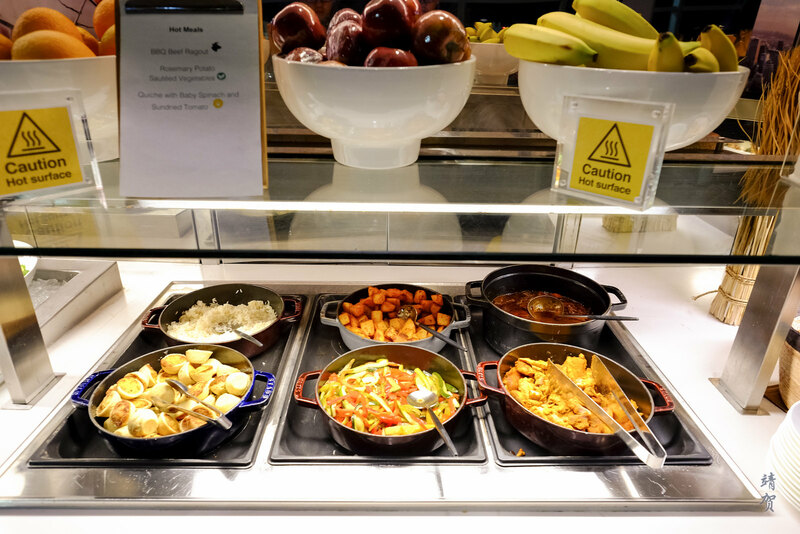 In the hot food section, there was BBQ beef ragout served with rice, sauteed vegetables, rosemary potatoes and a quiche with baby spinach and sundried tomatoes. 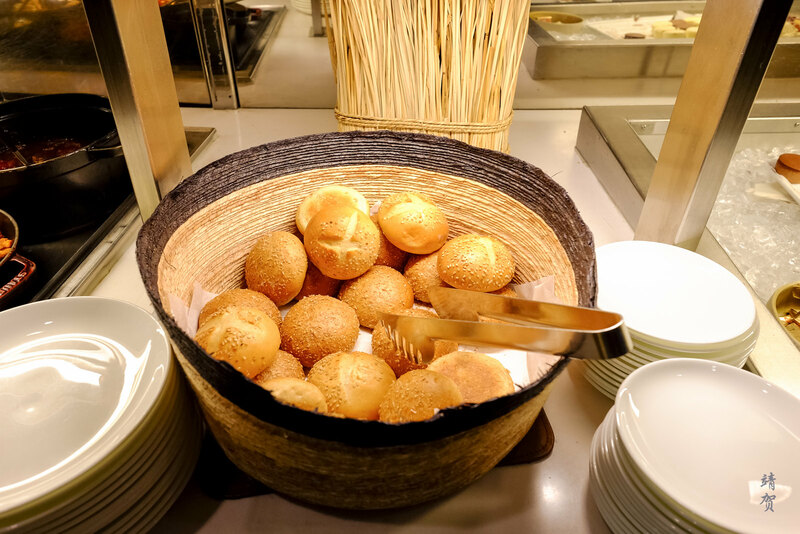 A basket containing bread rolls was placed in between the buffet console. Another console table was placed to act as partition between the rest of the lounge and the dining area. This console table contains assorted candy jars along with mixed nuts and mini pretzel snacks. 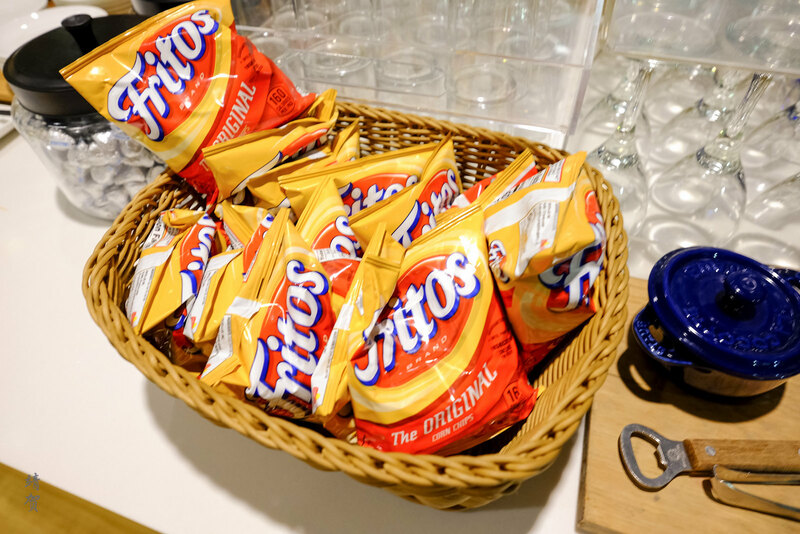 The packets of Fritos corn chips was also great to have for guests who just want a quick snack to grab on the way to the flight. 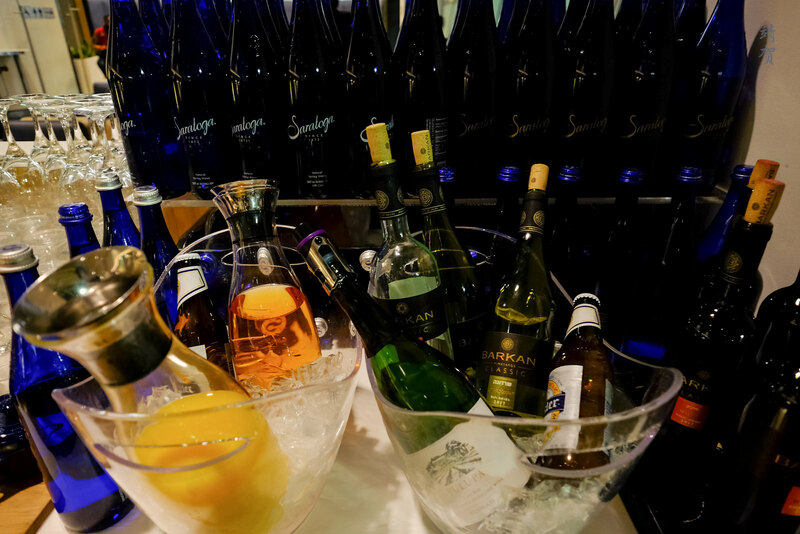 Finally, next to the snacks, there was red and white wines, chilled juices and still or sparkling water. 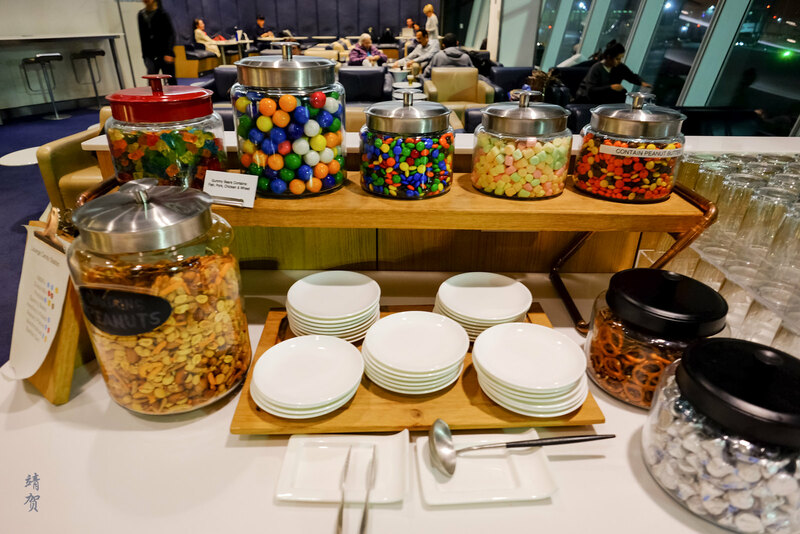 In general, there was a good range of food and snacks in the lounge which was better than the average North American lounge and could certainly fill me up for a light dinner. 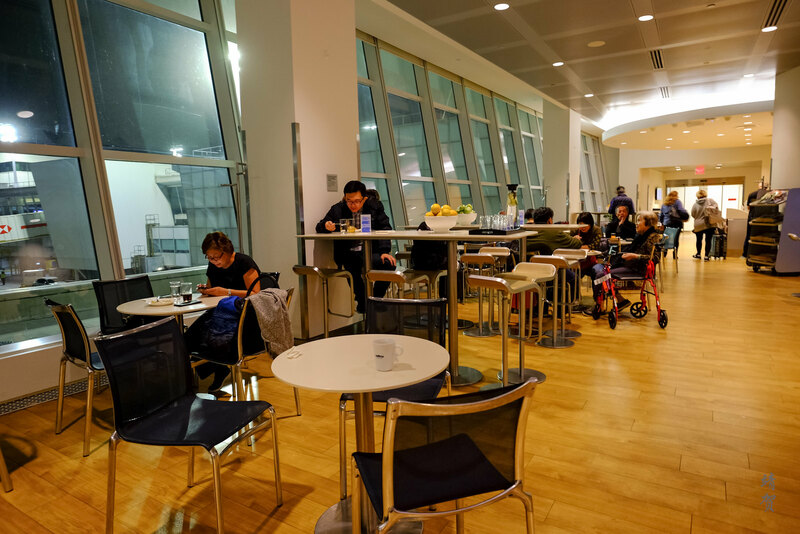 When I first visited, there was still plenty of seats though the lounge gets busier due to the other Star Alliance flights using the lounge later in the night. 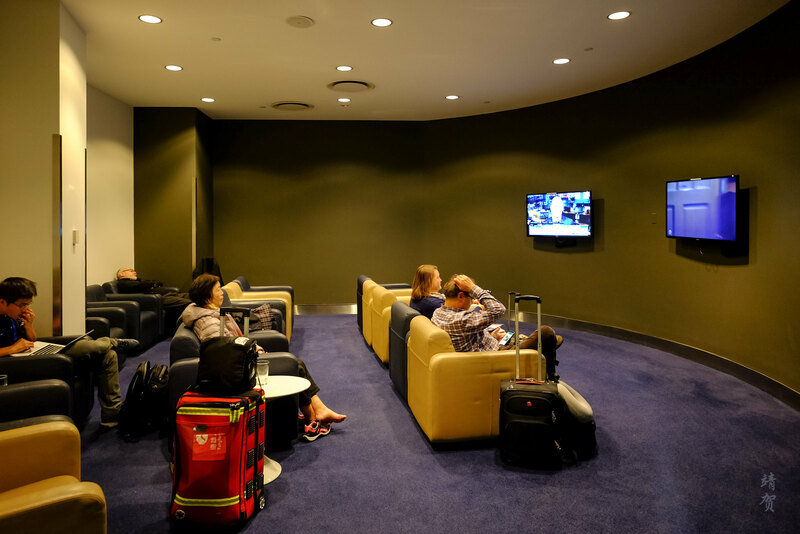 For guests with a longer transit time, there is an alcove next to the buffet area with 4 reclined lounge chairs. 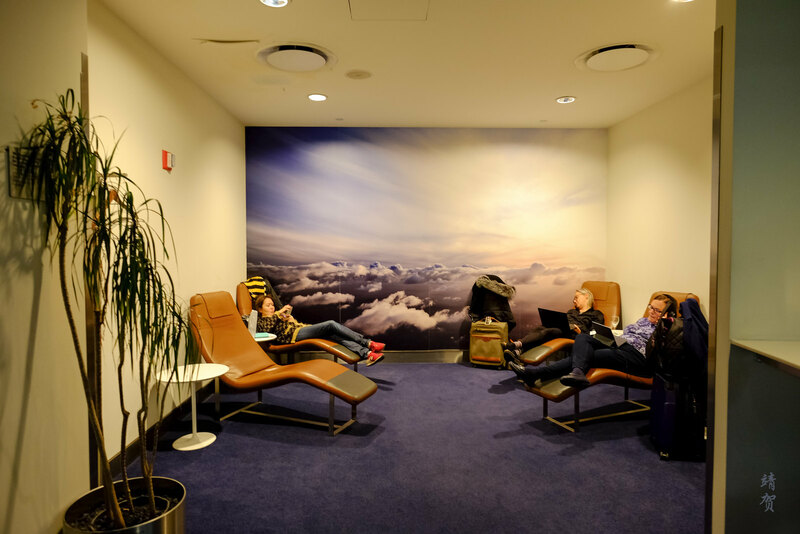 The rest of the lounge comprises mainly of leather armchairs in navy blue and khaki, colours that are in-line with the decor of other Lufthansa lounges I have been to. There was a bar table for working by the wall with plenty of power outlets. Coat hangers were placed around the lounge as well so guests could easily hang their outerwear. 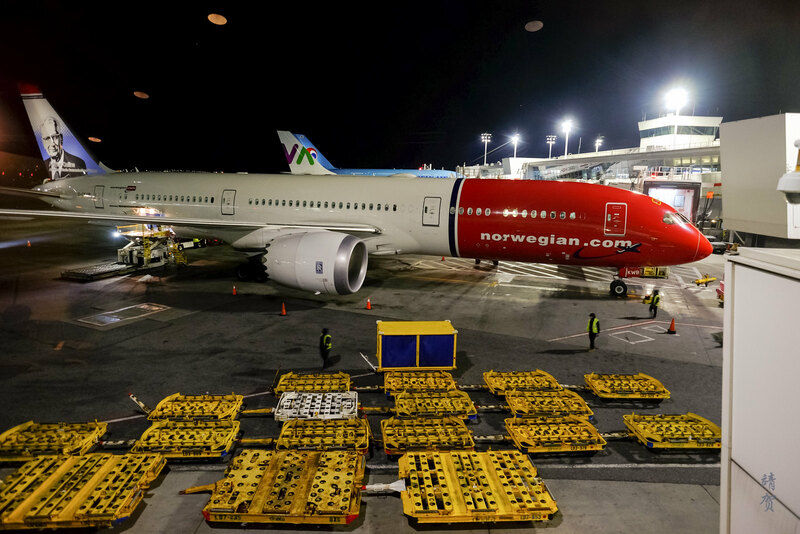 From inside the lounge, there was good views of the tarmac and a Norwegian 787 was parked next to the lounge. The flight actually departed before we left and gave us views of the adjacent planes, including an arriving China Eastern 777 and Korean Air A380. 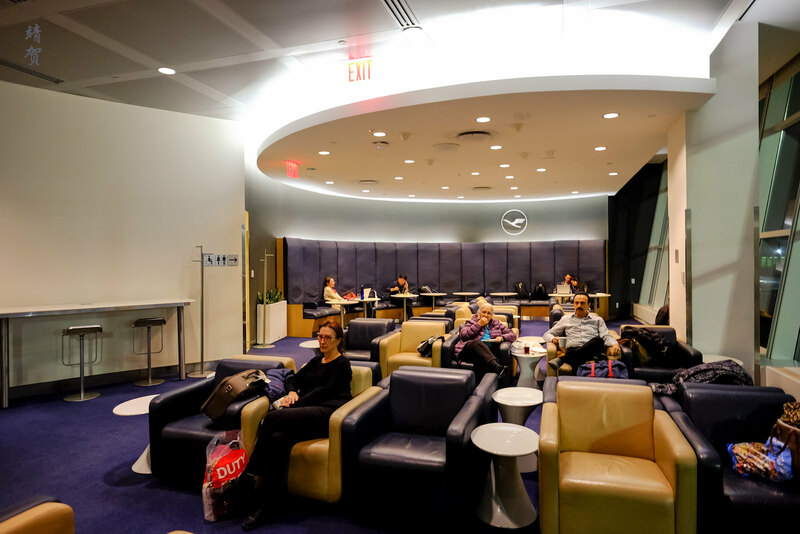 Wifi in the lounge was usable and there was clean bathrooms at the end so for a waiting lounge, this was a nice space to serve Star Alliance passengers in JFK Terminal 1. 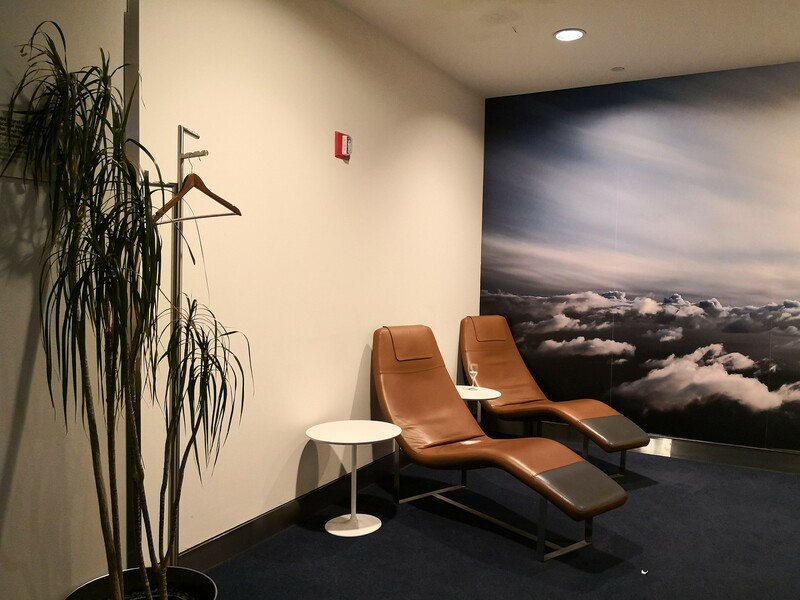 As far as North American lounges go for International Business Class passengers, this was one of the nicer ones I have been to. Considering how busy it became in the night time, I would have liked it if they actually opened the second level of the lounge as well to spread the crowd out a bit as it got a bit noisy at times. Another thing to note is that there was the Air France and Alitalia lounge in the same terminal, which means that passengers on Sky Team has more choices and space when departing out of Terminal 1, and the small space of the Lufthansa Lounge was definitely inadequate as there was an EVA Air and Air China flight after my Turkish Airways flight.